We are excited to introduce you to Blu. Blu stands approx. 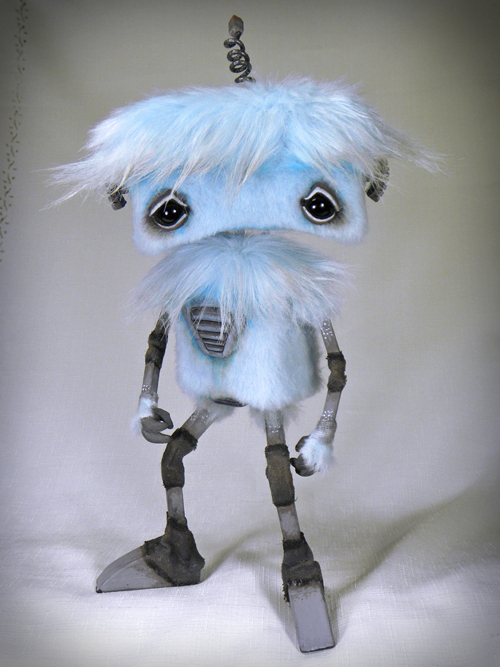 12" tall and is made from soft shaggy blue faux fur with a wood underbase and many sculpted details. His arms are created using wood, wire and painted canvas.